Just after noon the Center Moriches Fire Department was requested to the scene of an auto accident with injuries at the intersection of Cynthia Ln and Holiday Blvd. Emergency personnel arrived on scene and found that a single car had crashed into a utility pole. While firefighters secured the area EMT's treated and transported the driver to a local hospital with minor injuries. 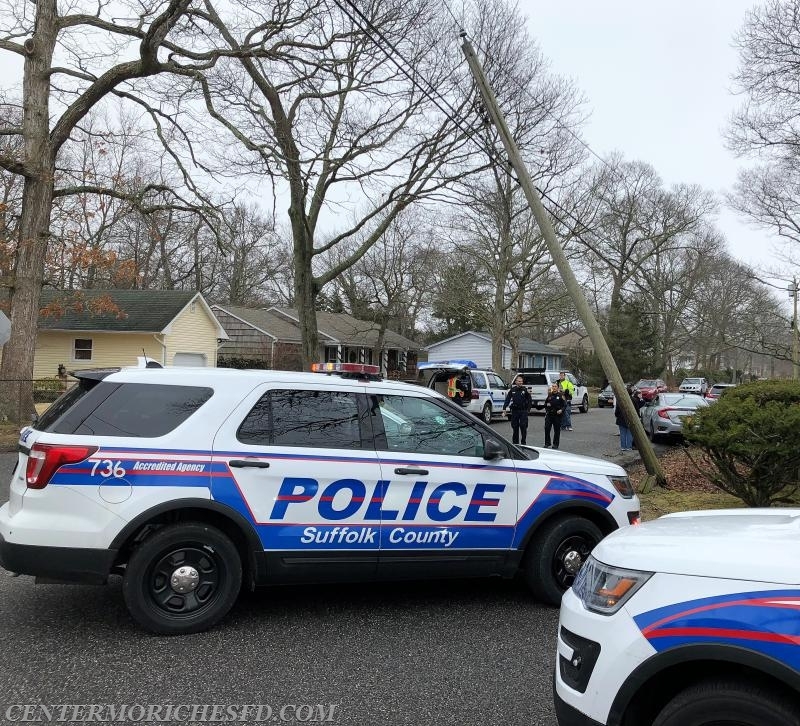 Suffolk County Police remained on scene while the utility company replaced the damaged pole.